For more than 60 years, Elektor is inspiring home-labs, electronic engineers, teachers and students from all over the world with new designs and projects. With our team of developers in The Netherlands, Germany, and India we are able to prototype all the designs before they have been published in the magazines and books. The Elektor Labs website provides a new way of sharing and interacting with new designs - it is like a kitchen where people can get their hands dirty on new ideas and projects. 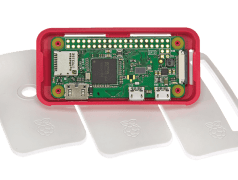 This week Elektor E-zine readers have a chance of winning a Raspberry Pi Zero W. We give a total of 25 away. You aren't reading our free weekly digital edition yet? Sign up today. You will then automatically qualify for a Raspberry Pi Zero as well as receive an inspiring PDF collection worth € 25 for free! 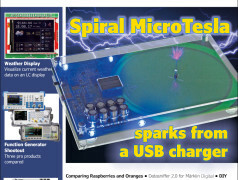 Are you a regular reader of the Elektor E-zine, our weekly digital edition? If so, you can win a fantastic prize every week. 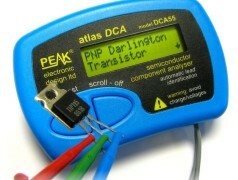 This week's prize is an Atlas DCA55 semiconductor analyzer. Not an E-zine reader yet? Sign up straight away! Elektor Business Magazine (EBM) Edition 6/2017 is now available for Elektor GREEN and GOLD Members and has a strong focus on Production Methods and Components. EBM offers innovators, electronics engineers and startup companies, essential information and insights into the latest products, research and intelligence from the industry. As you have been able to read on our website or in our newsletter, in the coming months Elektor raffles super prizes to readers of its weekly E-zine. 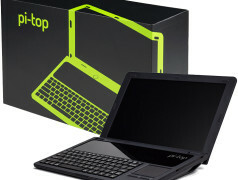 This week's prize is a pi-top DIY Laptop Kit for Raspberry Pi. Every edition of Elektor magazine is loaded with up-to-date news and views, real-world lab tests and high quality DIY construction projects. You can rely on Elektor for solutions and insights to all your electronics challenges. Raspberry Pi, Arduino, IoT, Embedded Systems, Robotics, 3D printing and more. But Elektor is even much more than a magazine! It's a community of active e-engineers - from novices to professionals - eager to learn, make, design and share surprising electronics. 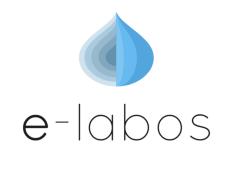 To reinforce its engineering team in Aachen (Aix-la-Chapelle), Germany, Elektor Labs have a job opportunity for a young and motivated maker with excellent programming skills. Today, software determines the specifications of almost every electronic device. All Elektor E-zine readers get a chance to win fantastic prices! 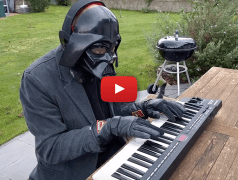 In the coming months, on a weekly basis, Elektor raffles super prizes to readers of its weekly digital edition, the Elektor E-zine. 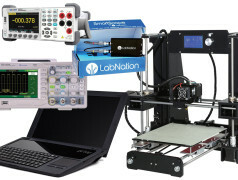 From scopes to 3D printers and from microscopes to Raspberry Pi laptops: when we talk about a gift period, we mean it! 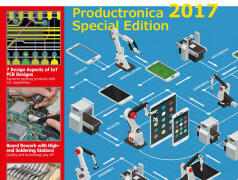 It's that time again - the new edition of Elektor Magazine is now available for you to purchase. You can either chose to get your copy in print, posted directly to your door completely free of charge, or purchase the digital edition (PDF).